The western sky has been interesting this month. 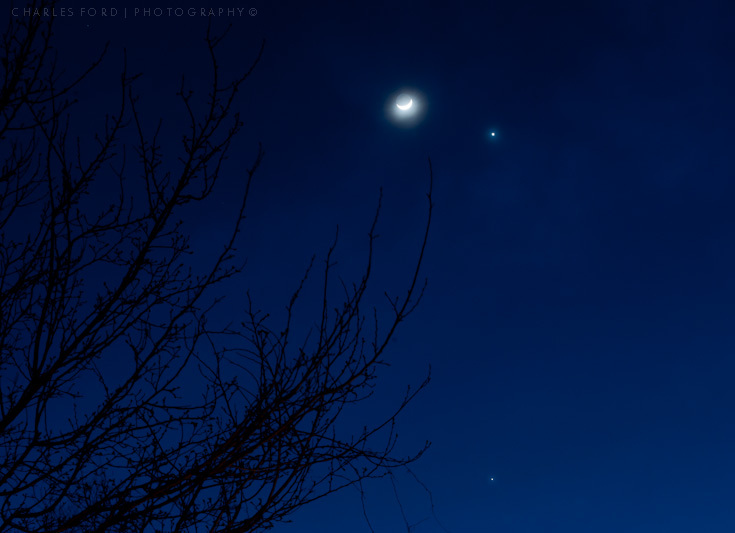 Once again, we had Venus and Jupiter shining brightly, this time joined by the crescent moon. 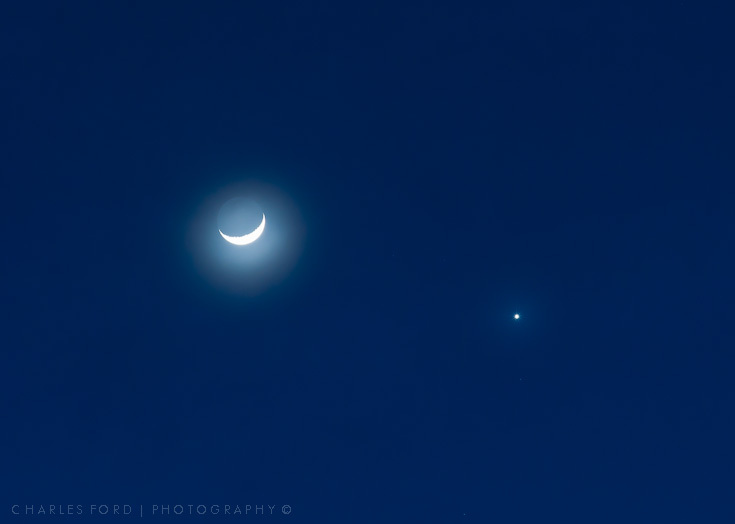 That’s Venus next to the moon, with Jupiter at the bottom of the frame in the image above. I felt it was my duty to run out and shoot a few frames for the record. Venus is close to it’s maximum brightness, just incredibly bright in the evening sky. This week, for various astronomical reasons, Venus and Jupiter appear unusually close together in the western sky after sunset. This is known as a conjunction. While interesting and lovely, especially for astronomy enthusiasts, this does not necessarily lend itself to spectacular photography. On this one, I found myself more interested in how the sycamore tree looked in this several second exposure, illuminated by a light on the garage nearby. Yes, I would like to claim this is some intricately planned multi-flash operation, but no. 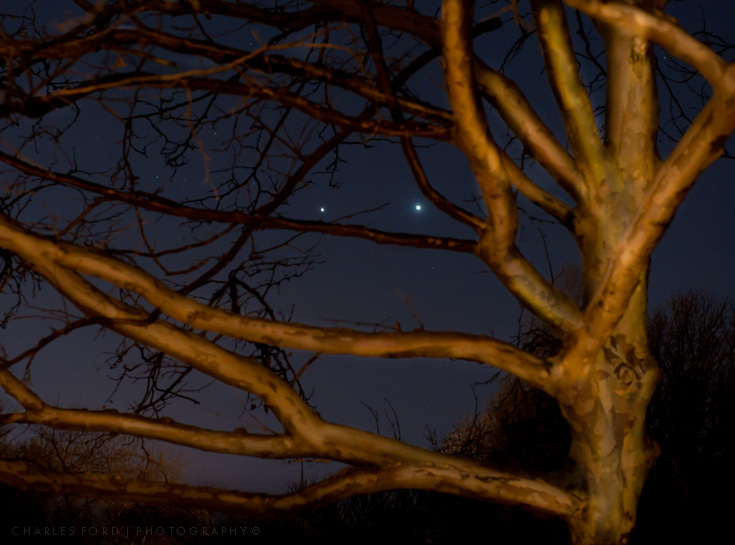 Just a tree, illuminated by a garage light, along with two planets as the icing on the cake.